The second reaction (and the less common one) is the nonreaction, and I love it even more than the first. It’s the person who carries on a conversation with me as though it is completely normal for a white twentysomething American girl to appear, alone, in a market or a taxi, and spout pleasantries in the local dialect. The first reaction is fun, but the second feels like home. The mint seller by the Saad Zaghloul market falls into the latter category. Last time I was there I had so much fun chatting with him that I bought triple the mint I’d intended to – it was so fresh and fragrant, and so cheap, that it just seemed the right thing to do to buy several bunches and figure out what to do with it later. 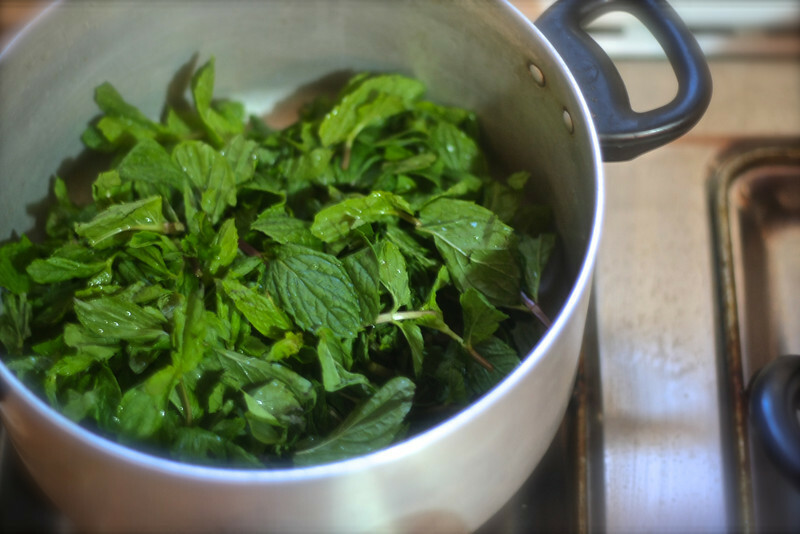 Spring is rapidly proceeding into summer in sunny Cairo and so this is one in a two-part series about mint – it’s everywhere these days, and it’s the best thing for cooling you down on a hot afternoon. This post is for a Mint Green Summer Salad, and the next (coming soon) is a recipe for mint lemonade, a classic throughout the region. 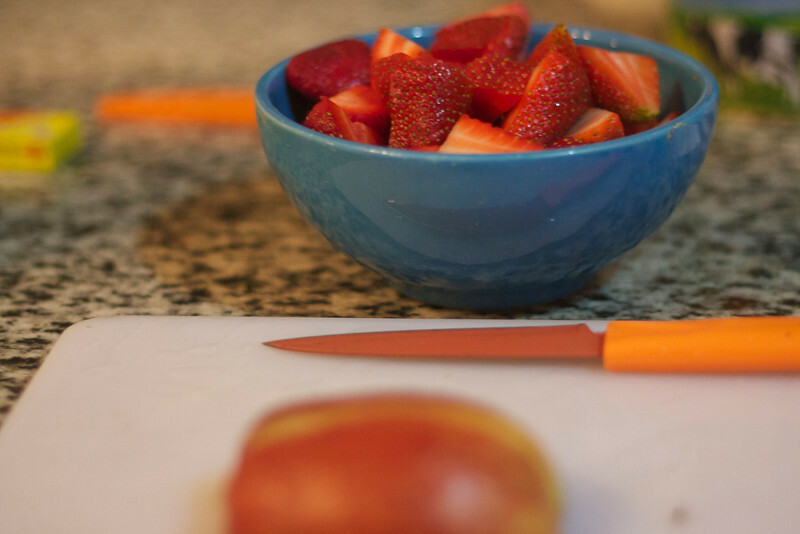 Mix together the arugula, mint, apple, cheese, and strawberries, and toss to coat with olive oil. Gradually toss in the lemon juice plus the red wine vinegar and salt and pepper to taste. Top with pistachios and serve. Yum, Anny! 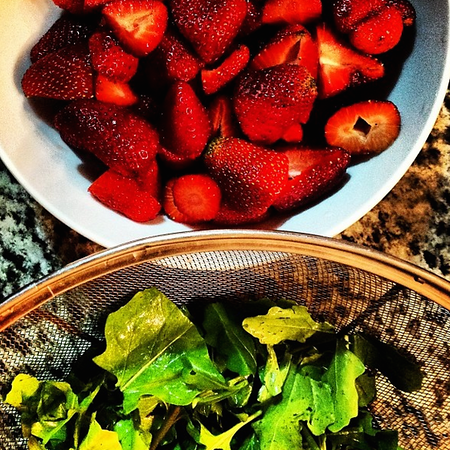 And the strawberries look as good as the newly ripened NC/SC ones at the farmer’s market!